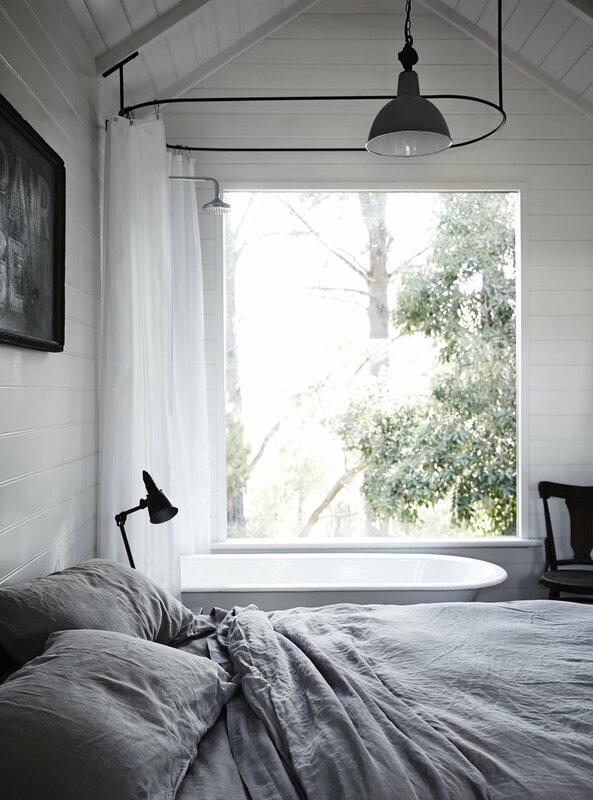 A queen size bed, dressed in Bedouin Societe linens sits on original timber floorboards. 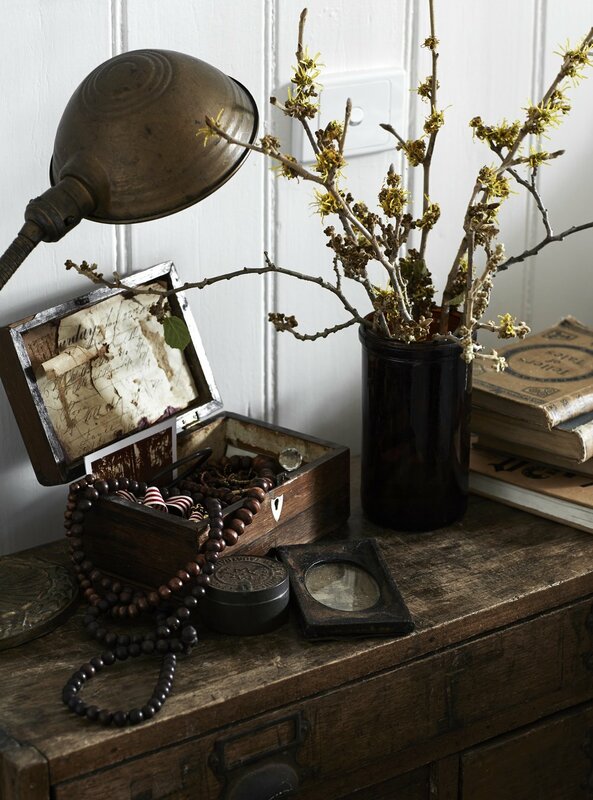 Vintage furniture and pieces collected from Kali's travels sit on a large french dresser. 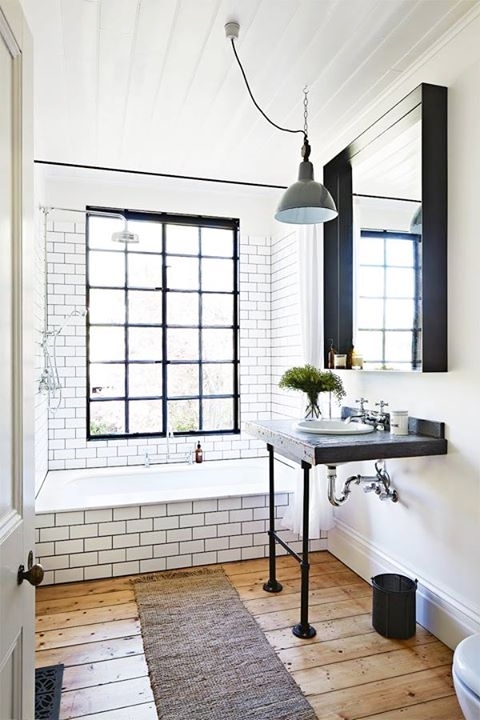 The main bathroom in the house sits high overlooking the various fruit trees through the large steel window, framed by subway tiles. The luxurious marble topped oversized bath is big enough for 2. Enjoy open plan living with a large 8 seater dining table from the 18th Century with industrial timber dining chairs and a vintage chesterfield banquette. Double doors lead to the outdoor area with a dining table for 12 and landscaped gardens. The large moody lounge room boasts over 3m high ceilings, open fireplace with antique french cast iron surround, 3 curved windows frame the various fruit trees and established trees on the property. 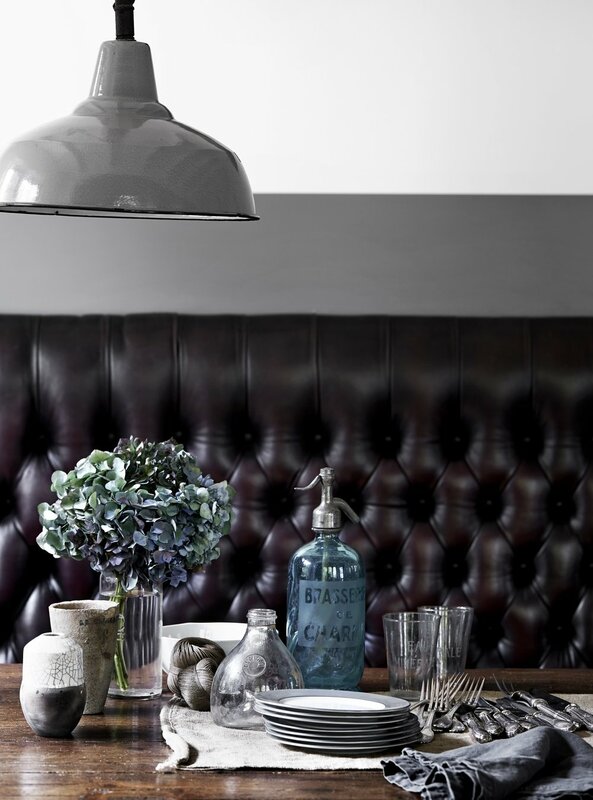 Relax with a glass of wine in one of the 3 chesterfield leather sofas. Walk through the vintage double height doors onto a verandah with outdoor seating and views over the treetops! The garden studio at Vintage House Daylesford can be booked along with the house to make up 3 bedrooms. The room features a queen size bed with Bebouin Societe linens, an oversized claw foot bath, separate toilet, original wood floors and beams.